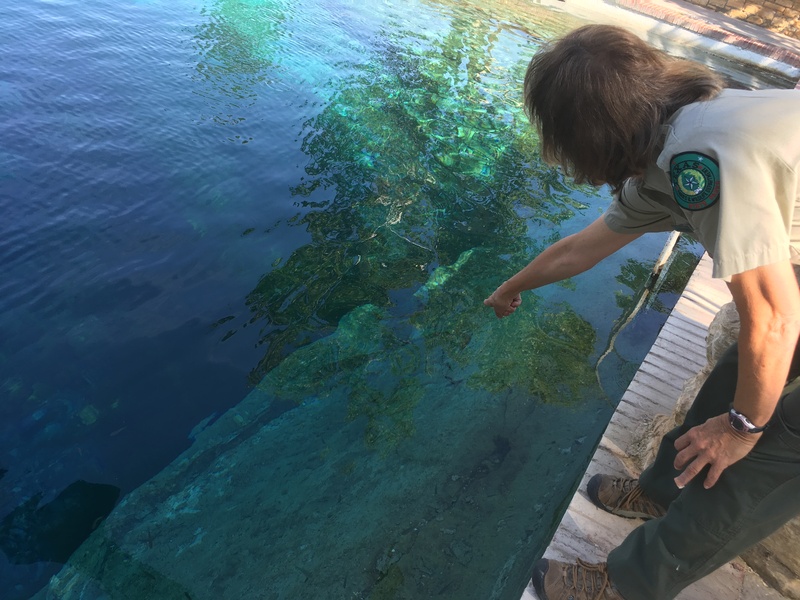 Last month, Balmorhea State Park announced it would be closing its pool for an undetermined amount of time. The reason: park officials say they found a crack in the pool wall and it could be unsafe for swimmers. 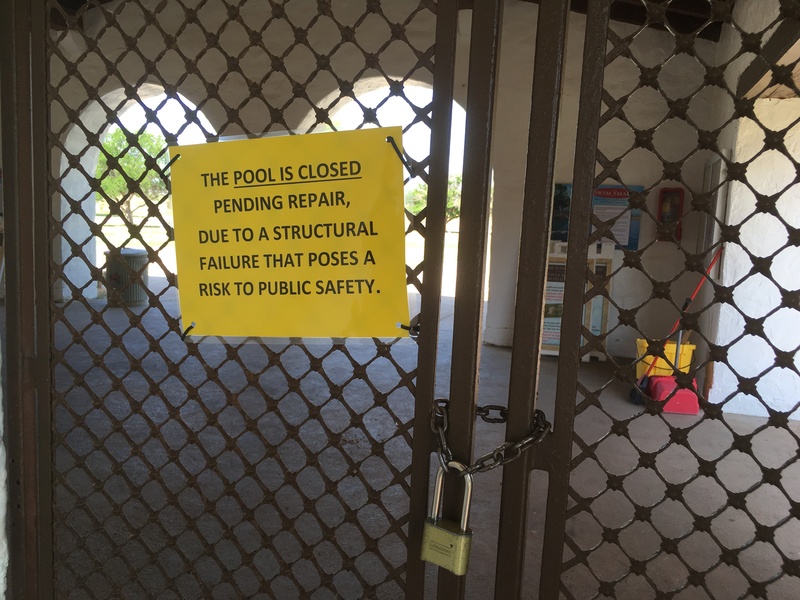 For many, the pool’s closure means a West Texas summer tradition has been put on hold. But in late May, a team of engineers began assessing the damage and are now working on a repair plan. It’s nearly 100 degrees out in Balmorhea. School just let out early, and a group of boys are splashing in a canal as their mother watches. Iniguez grew up in Balmorhea, swimming in this canal that runs through town. She says, a lot of locals did the same. They learned how to swim in this shallow stream before graduating to the deeper waters at Balmorhea State Park pool. It’s tradition for the town of 400. But going to the park isn’t really an option this summer. It’s closed. The pool’s been closed ever since its annual cleaning in May. After all 3 million gallons of the pool’s water had been drained in May, a helper at the park heard a big crack. These days the park is pretty quiet. The sound of visitors jumping into the water’s has been replaced by the steady buzzing of cicadas. The damaged concrete slab was installed in the pool wall, beneath the big diving board in 2005. The concrete slab covers up a concave area in the natural spring wall. It keeps swimmers out from beneath the diving board. Rose says it’s still cracking, and the debris could affect populations of fish in the water. The plan is to replace it. It’s unclear how long the park will be closed, but Rose imagines it will take a good chunk of the summer to repair. The Texas Parks and Wildlife Department will continue to do assessments of the pool, but they say age and erosion were the primary factors that lead to the damage. Rose says it possible a drain near the concrete ribbon created a swirling effect in the water, which would speed up erosion. Still, some think new oil and gas activity in the area contributed to the crack, like local Neta Rhyne. Rhyne says she thinks the oil and gas economy is less stable, and could cause long term damage to the region. She’s also run a swim shop in Balmorhea since 1989. Some other businesses here — like hotels and restaurants — say the won’t be affected by the park’s closure. For now at least they have plenty of business from people working in oil and gas. But the park closing does mean a big loss for the state. Balmorhea is one of the top-earning state parks. Last year it brought in $974,512 and saw nearly 153,000 visitors in the same time. Brenda Iniguez, who grew up in Balmorhea, has worked at the park for 18 years. The park’s closing is helpful she says, because it gives the small staff opportunity to catch up on major projects. The downside: she has to figure out some new summer plans for her family. Like many, Brenda Iniguez learned to swim at the pool. She also taught her kids and her nieces and nephews how to swim, like Stephanie, the mother watching her kids splash in Balmorhea’s canal. For now, her kids will continue to swim in the canal. 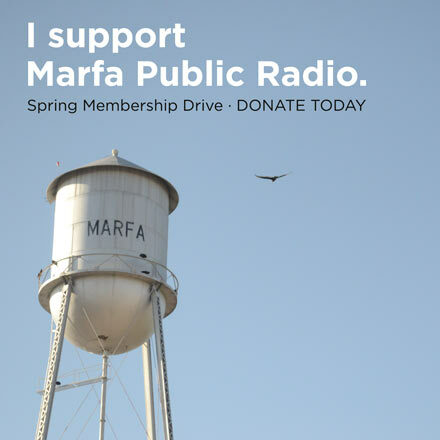 But they’ll miss the park’s pool they say, because it’s just part of life in Balmorhea. The park doesn’t have an official re-opening date. But park officials are saying repairs could take a couple months. 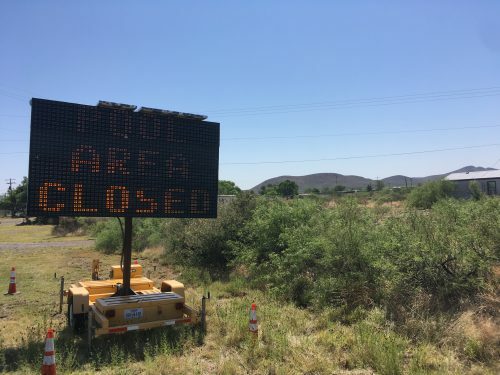 This entry was posted in KRTS News and tagged balmorhea, state park, Summer. Bookmark the permalink.